Know About Lotus Notes Default Archive Location – What is Lotus Notes Archive? 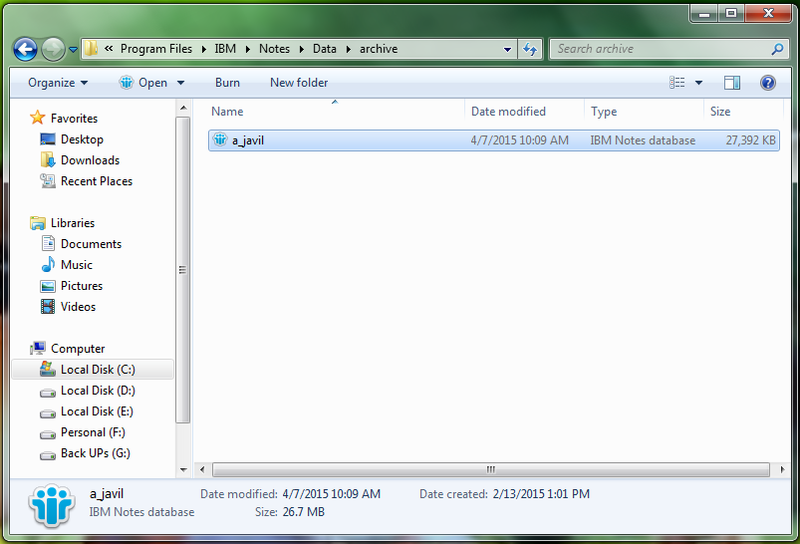 what is lotus notes archive? Lotus Notes Archive data also known as Archive File and Folders are actually each a separate Lotus Notes database (.nsf files) that contains archives mailbox messages. Archive process means to copy old Lotus Notes mails into different location on computer, if Lotus Notes running out of space and facing the less memory issue. It is widely used to enhance the performance of Lotus Notes and provide free space to your Lotus Notes account. As per the requirement of the user, it can place at any location on the local machine as it is portable. But these archive criteria copy all documents which are not modified after 365 days to your archive application archive a_javil.nsf on local and then delete these documents from Lotus Notes application.